My IOP is gradually rising. Most mornings it is one or two points higher, and it is the rare afternoon that it doesn't hit thirty. Occasionally it would hit 30 on a stressful afternoon when I was working, but now it is nearly every day. I use Azopt as a third drop when the pressures hit that high, but I don't tolerate Azopt that well (gives me a headache) even though it does lower the IOP. I have used Istalol .5% and Zioptan for several years. Is it possible they would, in the last month or so, be losing their effectiveness? After retiring, my life is quite calm and my diet has, if anything, improved. Do you have any insights into what may be causing this? I was able to get an appt. with my eye doctor soon, but he may want to do another trabeculectomy. I would like to get control without doing that. You could experiment with switching medications. Many patients do experience that specific glaucoma medications lose effectiveness over time. The general approach when medications lose effectiveness is to recommend surgery. However, I know a number of glaucoma patients who have found that switching medications periodically resolves the loss of efficacy. The German professor and self-tonometry pioneer Prof. Dr. Dieter Baumgarten worked out a detailed medication rotation schedule whereby he could permanently avoid this loss of efficacy. He would use a specific medication for a specific limited duration before switching to another. After he rotated through the medications he would begin the cycle again. In this way no medication lost efficacy over time. Another factor to consider is your inner stress since retiring (and moving). Even though your life has less of the stress you used to have while working, you were used to that and you are now facing something new. I don't believe in eye drops to avoid glaucoma. 50% of people with glaucoma have high IOP and the other half of people with glaucoma, have low IOP. So, why suffer those horrible medications? I Have had "high IOP" of 28 for more than 10 years and my peripheral field is still well. I am 67 and live in Argentina. Other thing is the measurement of the head of the optical nerve with the technology now available, the thickness of the bundles of nerves coming out of the optical nerve. I am still amazed about the calibration of the method. Practically no correlation at all between thickness measured and incidence of glaucoma. Reducing IOP is the only medically established treatment to reduce risk of glaucoma progression, and that holds true even for those with IOP below 21 ("normal tension glaucoma"). This is a common point of confusion because we know that elevated IOP is almost certainly not the root cause of optic nerve damage and vision loss for any type of glaucoma (even when IOP is very high). There are other mechanisms at work. 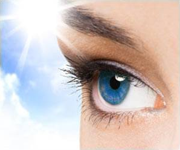 Furthermore, we know many of those other factors (such as blood flow to the optic nerve) that are important. We also know that some people (those with ocular hypertension) can tolerate elevated IOP without it leading to glaucoma. This is not a contradiction. IOP is not the root cause. But for those with glaucoma, it is the most important medically treatable risk factor at this time. The potential confusion is that some knowledge of the complexity of glaucoma causes us to forget or neglect the basics. As anyone who knows a professional musician, professional athlete, professional actor, etc., knows, any high level professional has to continue to focus on the basics or fundamentals of their profession. Likewise, even as we learn more about different factors that are important in glaucoma, we cannot forget the basics. The most basic thing is IOP. Notice that IOP is on my expanded list twice! (It relates to dynamic pulsatile action and aqueous humor outflow). However, my list is not as strictly evidence-based as Dr. Ritch's original statement nor is it as focused exclusively at the biochemistry level. As you can see, pressure (IOP) is important, but it isn't the only factor we need to consider. Again, do not confuse that statement with a false one like "you do not need to worry about IOP." IOP is not the only factor, but it is one of the most important factors (even in those with low IOP) and it should not be neglected in today's state of the art glaucoma management. I believe every glaucoma patient should monitor their IOP multiple times every day with a good quality tonometer (such as a Reichert 7CR). We can learn an immense amount from doing so. I also believe every glaucoma patient should meditate. Beyond this, we could even consider cerebrospinal fluid pressure (CSFP). This is indeed a very important factor. It is something not on my list above. Dr. Ritch's team (especially Dr. Park) have done a lot of research in this area. TLDR; it is usually a mistake for people with glaucoma to avoid eye drops and allow one's IOP to be unmanaged. People usually regret that decision. If one has ocular hypertension and no evidence of glaucoma, then count yourself lucky. But don't give advice based on that to those who do have glaucoma. P.S. For more on this topic, you can read my post The Selenium Paradox in Glaucoma in the FitEyes archives from 3/11/2015 and my post What else can we do? Already doing everything your doctor recommends? Want to do more to prevent glaucoma progression? from 2/21/2015. Here’s another way to look at things adding to David’s excellent summation. For a century, glaucoma was associated with elevated IOP and ophthalmologists basically did not believe in normal-tension glaucoma. Many kinds of rationalizations were made to explain away patients with apparent NTG. In the 1980’s this all began to change with the recognition of other risk factors, particularly those related to ischemia and ocular blood flow, then in this century, factors related to neurodegeneration in general – oxidative damage, mitochondrial dysfunction, etc. More recently, low intracranial pressure has become an issue of focus. Disordered autophagy is now a hot topic. IOP is the most common known risk factor for glaucoma but we know that it is not the only risk factor. Risk factors which cause ischemia such as sleep apnea, low blood pressure, peripheral vascular dysregulation are all finally being recognized as common (it is estimated that 80% of people with sleep apnea do not know they have it). IOP is also the only risk factor which has been proven modifiable by lowering it to retard the progression of glaucoma. The “risk factors” which lead to ischemia are diseases in and of themselves, such as sleep apnea, atrial fibrillation and low nocturnal blood pressure. Low spinal fluid pressure is another risk factor but we have no way to measure it non invasively at the present time. The latest focus is at the cellular level where glaucoma is common to all neurodegenerative diseases with mitochondrial dysfunction, decreased antioxidant activity and low-grade inflammation. If we can treat and save mitochondria then we can move glaucoma treatment one step earlier since the mitochondria die before the nerve cells die in all of these degenerative diseases. Here is a way to look at glaucoma which hasn’t really yet been popularized but will be as more of this information is discovered. There are eye diseases such as exfoliation syndrome or pigmentary glaucoma or juvenile open-angle glaucoma, which cause high IOP and which are distinct diseases with their own genetic biochemical, molecular biological, pathophysiological, and anatomic mechanisms of development. They are very different from one another at these levels but all produce elevated IOP and damage to the trabecular meshwork. The pressure damages the lamina cribrosa and the visual pathways, which are part of the brain. The disease causing the risk factor is in the eye. The damage is in the brain. If we look at diseases where the IOP might be 15 mmHg, such as low intracranial pressure or ischemic disorders, these can cause glaucoma in the face of a normal IOP. This glaucomatous damage affects the optic nerve the same way as diseases causing high IOP and glaucoma is basically a brain disease. It is detected in the eye and thought of as an eye disease, but it is really a brain disease, wherever it originates. There are other factors also. Positional changes, head standing, pushups, pressing on one’s eye while sleeping, can lead to transient elevations of pressure, which when continued long enough and of sufficient severity, can cause glaucoma. These are external factors causing an eye disease transiently which then causes a brain disease. In the end, glaucoma and its reversal will depend on repairing and protecting the brain.